Planning to get more people to visit your artwork or previous projects? Putting together a portfolio site gives you the chance to expand your base and reach more people. Me for WordPress is a clean and responsive theme that displays all the work you have done and the services you offer on one page. That way your visitors can get a glimpse of everything you have done more conveniently. 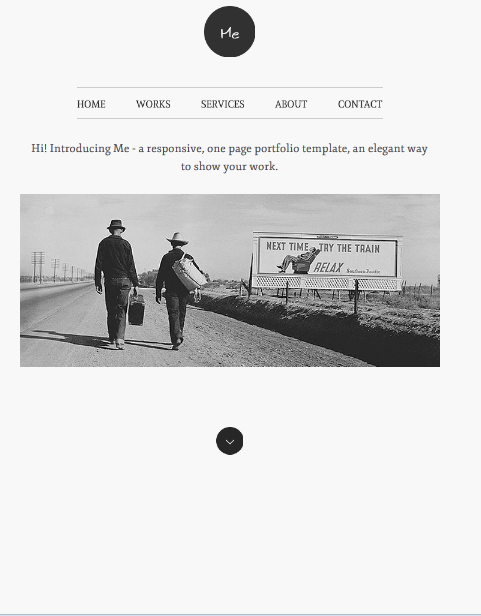 The Me theme has a responsive layout. The style is minimal at best. The good part is this is highly customizable. You get 70+ fonts to choose from. It offers filterable elements with the power of Quickstand. The developers have used AJAX to make your visitors’ experience on your site more dynamic. This theme lets you add YouTube and Vimeo videos to single items, which is a plus. 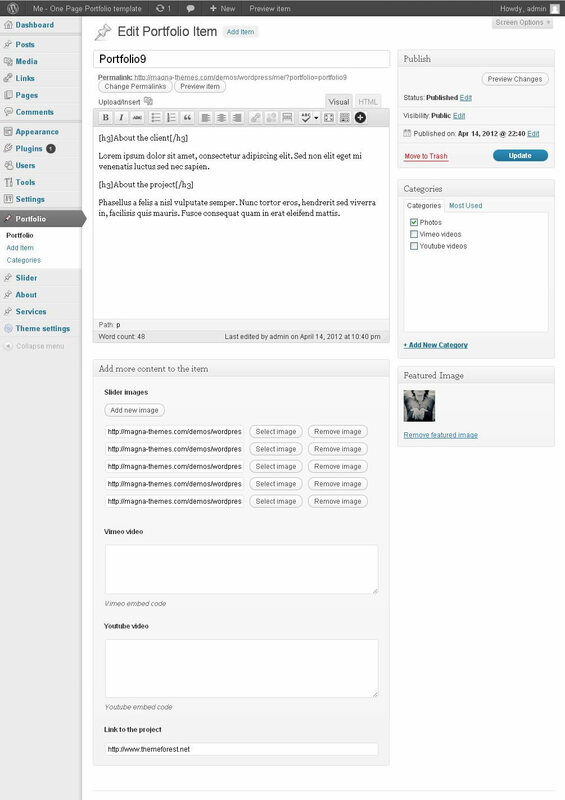 Me for WordPress does not have too many bells and whistles. But it has everything you would need to put your portfolio site together fast.